When Swami Vivekananda went to Chicago in 1893 to address the Parliament, this oriental man in a saffron robe was given 2 minutes to speak. When he started with Sisters and Brothers... instead of the usual Ladies and Gentlemen, the 7000 strong crowd rose to their feet and clapped for 2 minutes and more. Therefore he was given his own time to speak. 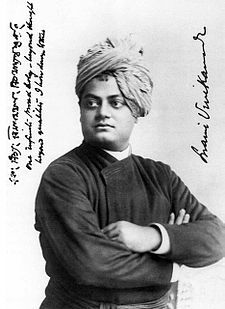 On his 151st birth anniversary, here's the full text of his famous Chicago speech through which he introduced Hinduism at the Parliament of the World's Religions, Chicago in 1893.